The author of Ayesha at Last shares why she likes rereading the classic book. Uzma Jalaluddin is a teacher, parenting columnist and author based in Ontario. 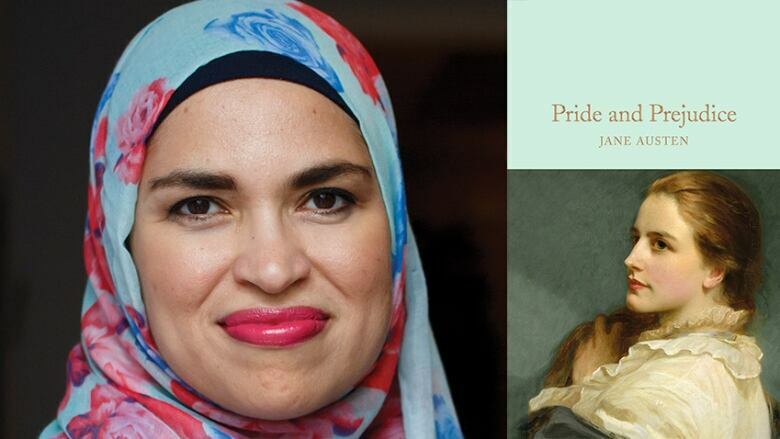 Set in a tight-knit Muslim community in Toronto, Jalaluddin's debut novel Ayesha at Last is a love story in the vein of Jane Austen's Pride and Prejudice. Jalaluddin is obviously a big Pride and Prejudice fan and told The Next Chapter why she still reads the classic on a regular basis. "The book I go back to very often is, not surprisingly, Jane Austen's Pride and Prejudice. When I was writing my debut novel, which is a revamped Pride and Prejudice, I went back to the source material many times. One of the things I've always loved about Jane Austen's work in particular is the way that — as a modern-day Canadian Muslim and South Asian woman — I could relate to something that was written by a white woman in Britain 200 years ago. She deals with universal themes of love and longing. "The thing I enjoy most about her books is they talk about everyday life. This isn't some Shakespearean tragedy where you have a tragic hero and a tragic fall because of a tragic flaw. This is about regular people living their daily life. As a writer I've always been interested in the minutiae of what makes a person's life — and the decisions that they make that challenge them." Uzma Jalaluddin's comments have been edited and condensed for clarity.